The City of Lancaster developed a new community center featuring a gymnasium and fitness area as well as a new natatorium. 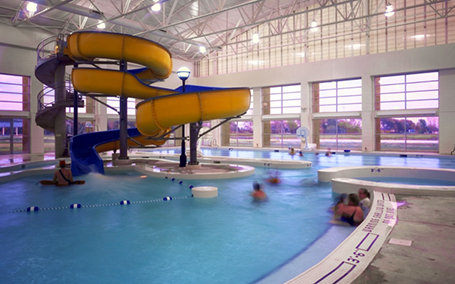 The natatorium features a 20-foot tall triple-spiral slide, a lazy river, a vortex, a zero-depth entry and four fitness lap lanes. This facility was featured as an Architectural Showcase in Athletic Business Magazine in June 2002 and June 2003.